A reasonably normal childhood was spent building electric guitars, flying model aeroplanes, playing the clarinet and breeding budgies. At fourteen, Roy's mum asked him if he wanted a television or a record player in the house. Roy begged for a record player. His mum bought a telly! At eighteen years Roy built his first pair of loudspeakers in perfectly sealed cabinets. Not the first Rega product, but Roy was on his way. His interest in hi-fi evolved from a passion for music. 'Bliss' in those days was a live concert, a folk club, or any kind of record player. Then a flat mate demonstrated his hi-fi system: Garrard SP25 turntable, Sonotone 9TA cartridge, Rogers HG88 amplifier and Wharfedale speakers. Roy realised his record player had room for improvement. A Colaro deck turned up on a rubbish dump and after much adaptation became Roy's first hi-fi record deck. When a friend gave him an old Connoisseur the Collaro went back to the rubbish dump, and the modification began again. This turntable was reviewed in hi-fi Sound in 1972, as part of a series called Casebook, which examined readers hi-fi systems. In the early seventies the turntable was seen as such an unimportant part of the system that the reviewer assumed the excellent results must be due to the speakers. These were impossible to miss huge concrete affairs housing Super 8 drive units - but could hardly account for the sound quality of the whole system. The reviewer was puzzled. Roy was now working for Ford as a technical editor but spent most of his free time installing friend's hi-fi equipment and building loudspeakers to sell. He became a part time retailer and found he had to spend a ridiculous amount of time repairing new turntables before his conscience and common sense would allow him to sell them to others! Out of frustration and a strong feeling he could do better, the Planet turntable was born. Roy and a partner registered "Rega" (Tony RElph, Roy GAndy). In 1973 and for a couple of years Roy stayed at ford and made turntables in the evening, helped by his partners: mum (who agreed to help out for two weeks and stayed for fifteen years!) and a succession of lads. The first turntables were sold through Cosmocord in the UK and a year later under the Rega name in West Germany, Denmark and France. Roy was now able to leave Ford; he collected a redundancy check and promptly blew it on a factory in Rochford. Soon after the partner with Tony Relph split, Roy swapping his share of Rega. Terry Davies joined as Rega's financial administrator. 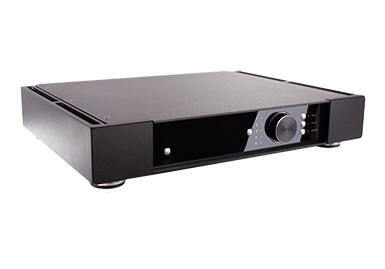 All Rega products at Solid State Audio come with full factory warranty. 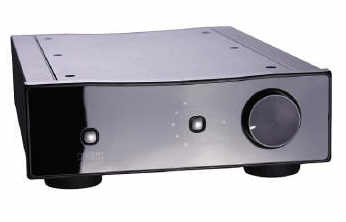 Rega from dedicated specialist Solid State Audio.